Video Tutorials to help your child retrain their brain. Learn how to help your child retrain their brain through Integrated Learning Strategies focused exercises. Do you have a child that struggles in school? Maybe your child has special needs or extra care? Are you a teacher looking for ways to help your student’s progress? Or a therapist looking for additional instruction to help your clients improve? Our series of exercises at Integrated Learning Strategies have helped thousands of children just like yours. Through series of exercises, we can help your child get rid of those retained reflexes and create new brain pathways for learning. Our video membership is for parents, teachers and therapists to help children and students with learning challenges. Video membership is updated monthly with new videos (for example, exercises for primitive reflexes, crossing the midline, gross motor skills, fine motor skills, attention and focus, vestibular, proprioception and other activities). I'm READY! Sign me up for the monthly membership! Physical development is a key ingredient for establishing a strong foundation for learning and is typically the first step in preparing the brain for a higher level of academic achievement. At Integrated Learning Strategies, our professionally trained experts use movement as a way to strengthen gross and fine motor development to prepare a student’s body and mind for reading, writing, arithmetic, speech, and other higher learning functions. To read and write well, students not only need good control of language, but good control of the body. Like a block tower, all learning depends on the readiness of the foundation. In some cases, the brain isn’t adequately developed yet to begin learning the skills that schools and parents would like. That is why our instructors integrate safe, easy, and enjoyable exercises such as balancing, swinging, rotating, throwing, and catching that make the body an instrument for learning. When children first enter school, it is generally assumed they can sit still, pay attention, hold a pencil, and follow the words on a page while reading. If you have a child that is experiencing learning or behavioral challenges, they do not simply “grow out” of them as they get older. The challenges may alter and improve as the child learns to compensate in other ways, but the weakness is only made into a strength when focusing on the core issue. 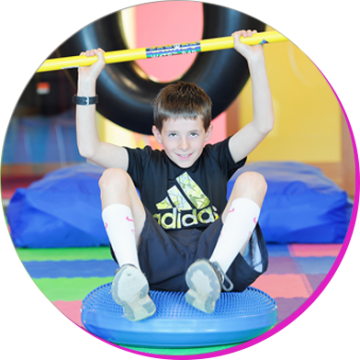 As we use movement to develop proper head control, muscle tone, strength, and posture, our students begin to improve in balance, coordination, attention, and behavior at school and with friends. Reading and writing depends largely on eye movements and hand-eye coordination exercises that our experts teach students to develop the basic skills of reading and writing. As a result, our physical-movement program helps students recognize sight words, visually track words on a page, and comprehend what they have read. Students that have lower level motor skills or are diagnosed with dyslexia often benefit from this program as a way to eliminate learning blocks and expose the brain to a higher level of development. Ready to start helping your child succeed? We offer 3 payment options to best fit your needs. Great for teachers, parents, or therapists. Get access to ALL the video series. 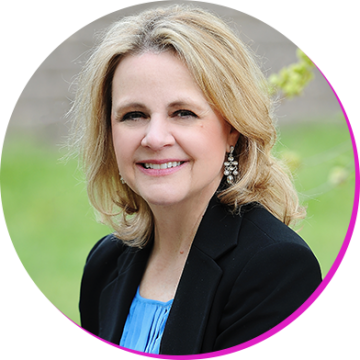 When Alene first started her journey to create ILS, she never imagined the impact it would have on people and how it would change their lives. Alene received certification and training under many industrial and scientific professionals.